Squishy Circuits: Building Squishy Circuits #makereducation « Adafruit Industries – Makers, hackers, artists, designers and engineers! Squishy Circuits is site built by students in engineering at the University of St. Thomas. 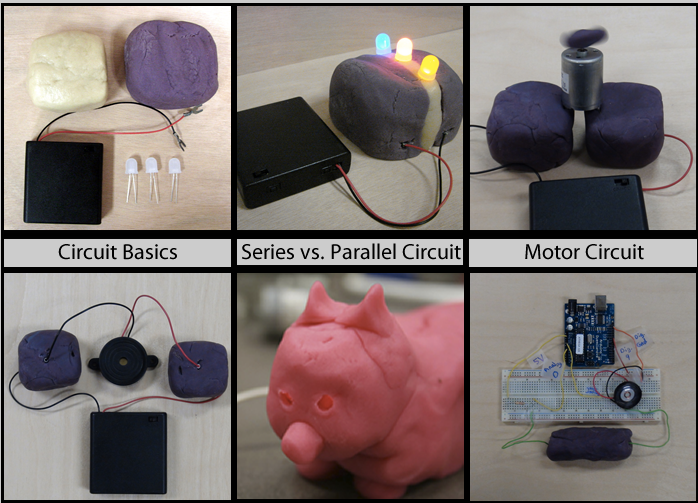 The site has a bunch of great circuits projects tutorials for young engineers that use play dough. Highlights include the Buzzer Circuit tutorial and the Advanced RGB LED tutorial!